Fancy and colorful earrings created in soutache embroidery technique. 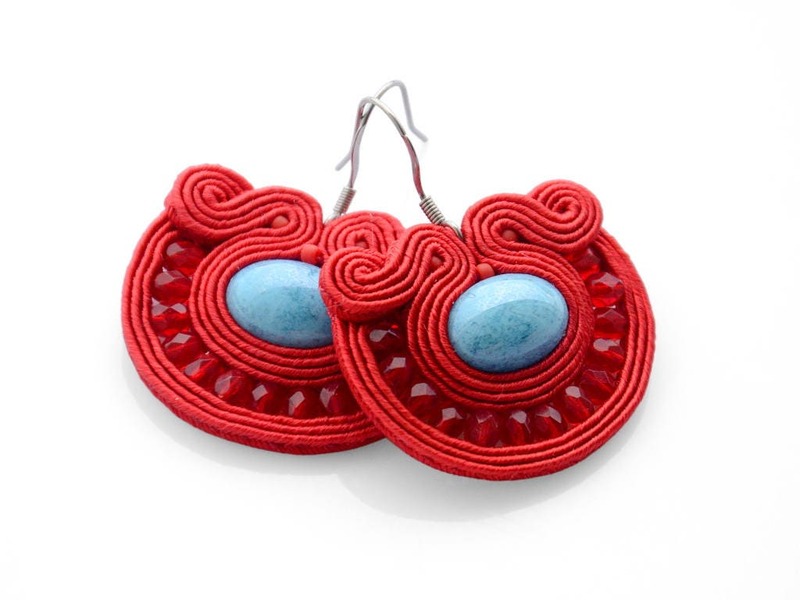 I made them from high-quality materials including Czech rayon soutache braid and glass cabochons and beads. The earrings are very light and pleasant to wear and will spice up your summer outfit. The item comes in a jewelry gift box. You will receive the item which is in the picture.